Make Mice Unwelcome - Yes Pest Pros, Inc. Make Mice Unwelcome - Yes Pest Pros, Inc.
Winter is coming quickly. Soon the pleasant embrace of a temperate fall day will turn into winter’s freezing clutches. While the ice, snow and cold can be uncomfortable and unpleasant for humans, these conditions can be deadly for small mammals like mice and rats. These vermin will seek out warm and hospitable places to spend the winter. Make sure your home isn’t on their list of hot spots with a visit from a rodent exterminator. Rodents are a nasty problem. In and around Bloomington, pest control technicians are often called in to deal with rats or mice. These small creature can pose big problems for the humans who space they infest. Rodents carry disease as well as other pests. They very often harbor fleas, ticks and assorted parasites. They also are known to spread virulent diseases like Lyme disease, dysentery, hepatitis and more. Rodents will get into cabinets and other food stores and foul the contents with their saliva and waste. Rodents can also bite, especially when cornered, and they may spread disease to beloved pets. They simply cannot even in the smallest measure be tolerated inside your home. 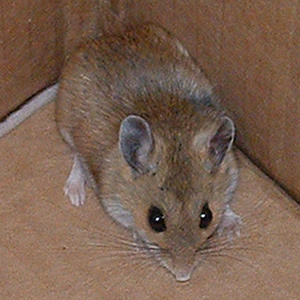 Making mice and other rodents unwelcome is part of an Integrated Pest Management plan. Your rodent pest control specialist can help you build a comprehensive plan get rid of rodents and to keep them out for good. Using common sense, green techniques and a minimal amount of plant-based chemicals they can assure you that no mice or rats will make your home their own. A thorough inspection is the first step in eradicating rodents. Your technician should check for a number of signs like gnaw marks, droppings, burrows, rub marks and other indications of a nest. He can also attempt to smell the scent of rodents and listen for their sounds. A complete inspection of your home will help him discern the size of the nest and the level of infestation so he can take appropriate measures. Next your technician should talk with you about what he has found and what measures will be appropriate for your home and family. Live traps and spring action traps may work for some households, but they aren’t a good idea to have near small children. Baits could be a solution in homes where there are no pets. Talk to your technician about the pros and cons of the various methods and your family’s needs before choosing a treatment.